Today is our last day in Florida. I spent half my childhood here, and call it home more than any other place I have lived. Both our families are now here, as my MIL moved here almost two years ago. It makes for seeing family easy, as we no longer need to pick between Doug’s and mine. Our last day here has been spent mostly on the road, but we got a great unexpected treat today. 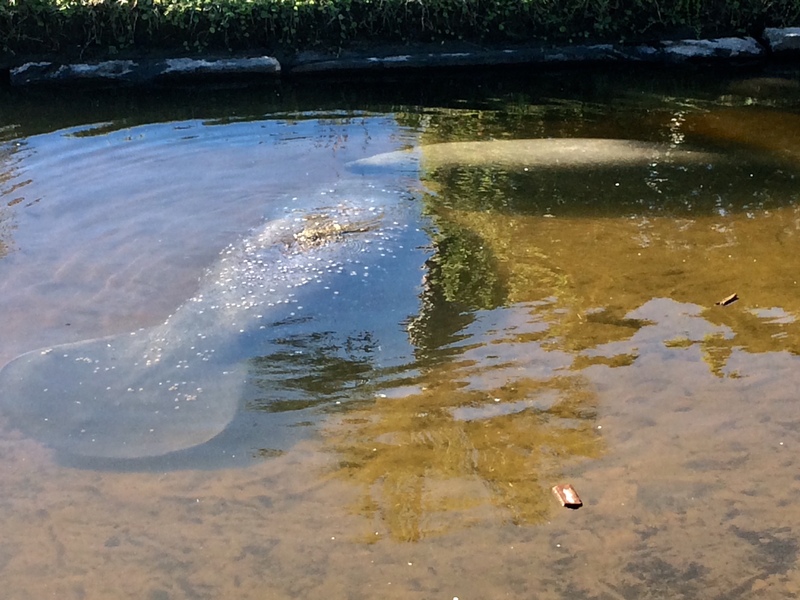 We got to see the manatee who take shelter from the cold weather in the canals around my sister’s house. I’m too tired to write a lengthy post, so I will leave you with a photo of these gentle giants.